The final season of Anthony Bourdain's Parts Unknown will premiere on CNN on September 23, with five episodes and two special presentations honoring the late culinary TV-star and author. 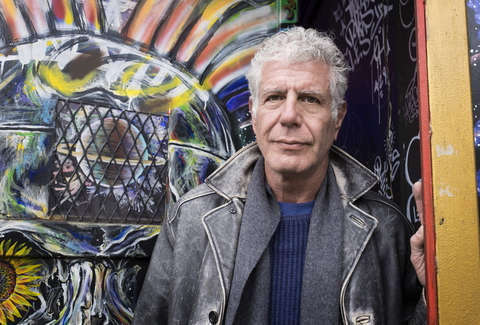 Season 12, which was in the process of filming when Bourdain died from suicide on June 8, will focus on Kenya, West Texas, Indonesia, Asturias, Spain and Manhattan's Lower East Side, per a CNN press release. Bourdain's adventures won't be the only aspect of his legacy recapped on the show's final season: Two specials will honor the globetrotting chef's contribution to television, showing viewers how "Anthony Bourdain’s unique perspective and voice altered the world of food, travel and culture and in the process reinvented how audiences watched television and engaged intimately and actively with the world around them." The second special will focus on Bourdain's relationship with his crew, a group that Bourdain forged a long-lasting bond with over his nearly 20-year stint hosting TV shows. The episode will see Bourdain's crew "pull back the curtain, to talk about collaboration, creative freedom, moments when Bourdain had their back or called them out, the times when he was caught off guard or forgot the cameras were even there," according to a press release. Contrary to what viewers are accustomed to, the episode featuring Kenya will be the only one to include Bourdain's narration. Still, season 12 seems primed to offer much of what Bourdain was renowned for: granular examinations of culture, spread in disparate places throughout the world. “We believed early on that Parts Unknown would be an exceptional series with an incomparable host and stellar production team," Amy Entelis, executive vice president of talent and content development at CNN, said in a statement. "We are grateful to have collaborated with such an incredibly talented friend and colleague whose prolific body of work and extraordinary personality touched so many." The incentive to binge season 12 should be all the more pressing, given the impending departure of Parts Unknown from Netflix on October 1.